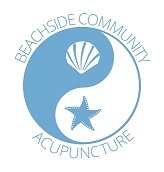 Located on the border of Addison, Dallas, and Farmers Branch, Beachside Community Acupuncture is your way to not only reach your wellness goals with the healing power of acupuncture but also to take a relaxing ''beach vacation'' in North Texas. Treatments are on a sliding scale of 50 (plus a one-time $15 initial consult fee), so you can afford to come in as often as you'd like. We suggest staying a full hour during your treatments to really relax - many fall asleep! - and the amount you choose to pay has absolutely no impact on the length or quality of your treatment. Community acupuncture is a growing ''movement'' in America that gets back to the roots of TCM. Acupuncture was traditionally practiced in a group setting so everyone could benefit from each other's healing energies. If other people in your life - your spouse, your friends, your co-workers - can also benefit from acupuncture, consider booking appointments together so you can share the experience.